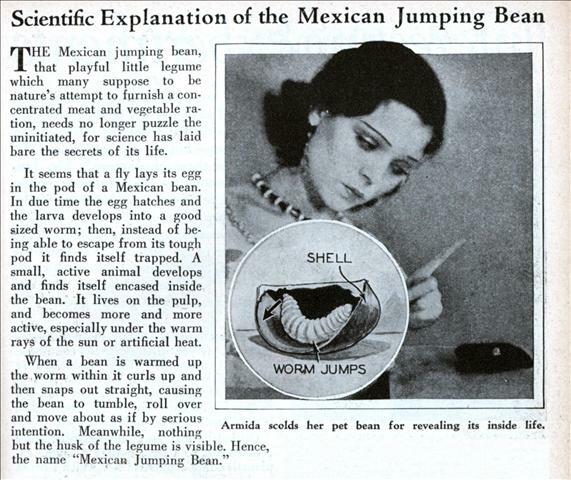 THE Mexican jumping bean, that playful little legume which many suppose to be nature’s attempt to furnish a concentrated meat and vegetable ration, needs no longer puzzle the uninitiated, for science has laid bare the secrets of its life. It seems that a fly lays its egg in the pod of a Mexican bean. In due time the egg hatches and the larva develops into a good sized worm; then, instead of being able to escape from its tough pod it finds itself trapped. A small, active animal develops and finds itself encased inside the bean. It lives on the pulp, and becomes more and more active, especially under the warm rays of the sun or artificial heat. 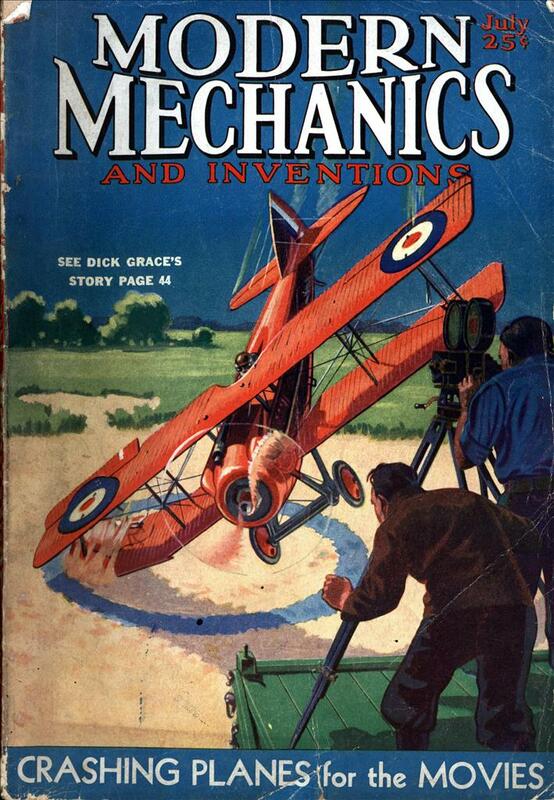 Before 1930 this was unexplained? Huh. I can’t believe it took science to discover this, I figured some curious seven year old with a rock would have figured it out. I had some as a kid, they were cool. “…many suppose to be nature’s attempt to furnish a concentrated meat and vegetable ration….” Forgive my ignorance, but did/do people eat these beans? It actually seems like a sound nutritional two-fer, if you can get past the “squirm” factor. I was going to wonder aloud about why they chose to have the model chastising the poor bean with her finger, but then I noticed with her oddly styled eyebrows, she must only be able to do ‘disapproving’ poses. Actually Mexican jumping beans contain the larva of a moth and they eventually hatch out as moths. They are technically not worms and they are not the offspring of flies. Ana: Sorry but they are way cheaper if you follow the link at post #7 above.